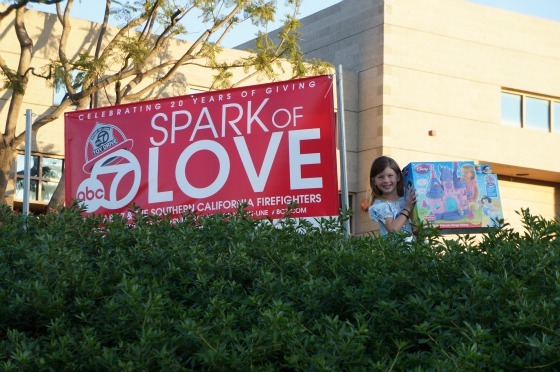 Make the holidays a bit brighter for underprivileged kids by donating new, unwrapped toys to Fire Station 57 in Aliso Viejo for the Spark of Love Toy Drive, which is a partnership between Southern California fire departments and ABC7. Unwrapped toys and sports equipment are collected until December 24. In Orange County, Spark of Love combines efforts with the U.S. Marine Corps Toys for Tots program, Social Services Agency's Operation Santa Claus, and the Society of St. Vincent de Paul Holiday Charities Program. Working together as the Orange County Toy Collaborative, these agencies collect and distribute approximately 300,000 toys annually to Orange County children who may otherwise go without during the holiday season. Fire Station 57 is located at 57 Journey, across from the Aliso Viejo Library.